Vivo Unveils Apex 2019: Is Holeless Design A New Smartphone Trend? Home PHONES Vivo Vivo Unveils Apex 2019: Is Holeless Premium Design A New Smartphone Trend? Vivo Unveils Apex 2019: Is Holeless Premium Design A New Smartphone Trend? Meizu unveils the first holeless smartphone on Thursday. Following Meizu Zero, Vivo takes a day to announce Apex 2019 with almost the same concept. Yes, ‘almost’. You will also agree with me when you will see a tiny microphone slit below the screen. However, rest remains the same i.e. You’ll not find a USB port, speaker grill or tray for SIM cards. The Vivo Apex 2019 is likely to be on display at MWC 2019. Same as Meizu Zero, It features with the dual camera setup on the rear panel. On the other hand, there is no physical button or port. This concept makes it have wireless charging support, eSIM, virtual buttons (Vivo calls it Touch Sense technology) same as Meizu. It seems like other Companies are waiting for new trends and concepts to enter the market. In fact, It has become a tendency to follow. Why can’t they bring something new on their own? I am not pointing Vivo solely. Almost every phone is coming with a notch. Right? And why is it coming? Probably because Apple started using it. Although, Apple was not the first one to unveil. Then who? Well, that doesn’t matter now. It is true that Vivo follows Holeless premium design but there are some differences on the part of its upcoming device. When it comes to the in-display fingerprint sensor, Company claims to have it on entire display. It enables you to touch almost anywhere to unlock the phone. Vivo Apex might not have a front camera while Meizu Zero images had one in front. The magnetic pins at the back called MagPort to support charging and data transfer replaces the charging port. 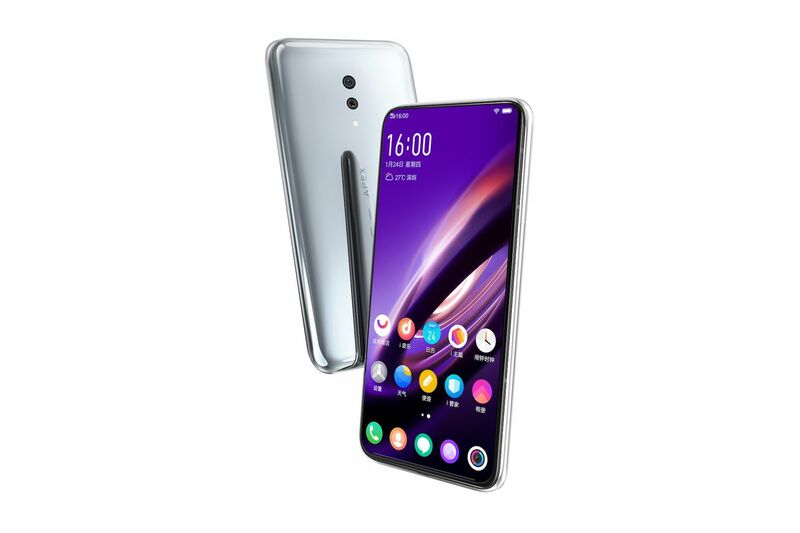 Further, Vivo Apex 2019 comes with slim bezels on all sides of the display with a slight chin at the bottom and features a ‘Super Unibody’ curved glass design. Other features and specifications will be cleared at MWC next month.